Enemy tribesmen attacked the Initiates during the ritual Test to find magic users. Dindi's dreams are in shambles. In despair, she decides to step into the forbidden faery ring, and dance herself to death with the fae. Then she discovers another choice that saves her life, but breaks the ultimate taboo. After being unfairly exiled from his own people, Kavio may have found a new home, but only if he can protect it from another attack by the enemy. He gathers a small group to venture deep into the heart of enemy territory in search of the ultimate prize: peace. In many ways I found this second book in the series more enjoyable than the first, perhaps because I already had an idea of the characters and the world they lived in. This book also offered some more information on the nature of Chromas and magic, which I think would have been helpful in the first book. I still found Dindi and Kavio interesting characters and I like the way they are being slowly brought together. This second book also goes more in depth into the reasons for the conflict between different groups and leads us towards what appears to be the start of a new war. This is a series I am still in two minds about though. Not due to the story itself, because I love both the idea and the main characters, but rather due to the way it is being presented. The plan is for this story to span twelve books and that is a long time for the author to try to hold the attention of her readers. Many may have given up after the first book, feeling confused by the world and the lack of background information. For those who did continue, it is a lot to expect for people to cough up $4-6 per book a further eleven times. I might have liked to see each book twice the length and the series to run to 4-6 books. That said, some authors have managed to hold an audience for that long - such as Charlaine Harris with the Sookie Stackhouse books. But those, while continuing a main story arch, could also be standalone reads, whereas the books in this series could not. 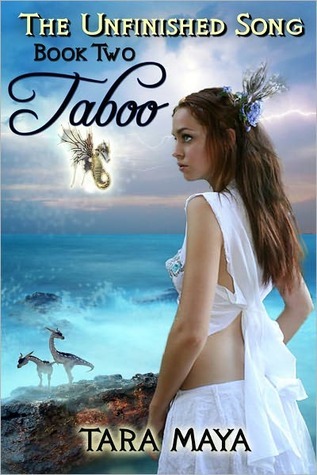 But, as I wrote in my review of the first book, this is still a fun and interesting read for fans of fae-based fantasy and I'll be interested to see how Maya handles the rest of the series.